Obesity | "Latest Stem Cells News"
Biological sciences major Adam Reese may have found the key to keep fat cells from forming. The University of Delaware junior believes he has identified the trigger that turns a stem cell into a fat cell. Located on the surface of cells, the trigger — a protein called endoglin — regulates what type of cell an existing stem cell will become. Working in the UD Department of Biological Sciences‘ laboratory of cellular signaling and dynamics with assistant professor Anja Nohe, Reese investigates ways to combat osteoporosis. His findings may also have implications for obesity. The central nervous system (CNS) contains a diverse set of neuronal subtypes, which together form the complex circuitry that regulates virtually every life function. To maintain normal body function, several systems in mammals require the simultaneous operation of a variety of neuronal subtypes, each sending different endocrine and paracrine messages to the brain. One such system is that of leptin signaling in the hypothalamus. At the base of the neck is located a reserve of stem cells that could revolutionize the fight against obesity and diabetes. 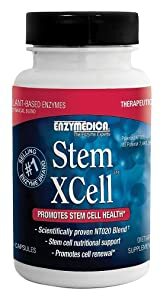 These fat-burning stem cells are the mother cells of brown adipose tissue, and a study coordinated by Italian researcher Saverio Cinti of the Marches region Polytechnic Institute discovered them. The results of the study were presented at the European Obesity Congress in Amsterdam and published in Faseb Journal, the magazine of the Federation of American experimental biology societies.